It is an agreement between the prosecutor and the accused in which the accused pleads guilty in exchange for a lesser sentence or a reduced charge. About 95 percent of all felony convictions in the United States are the result of plea bargains. Explore the American Bar Association Standards on "Pleas of Guilty". These standards are meant to serve as a guide for policymakers and those working in the criminal justice system. The pleas section includes information on the roles and obligations of the prosecuting attorney, defense counsel and the judge in the plea process. What is the standard argument in favor of plea bargains? Pleading guilty instead of going to trial reduces uncertainty as to the outcome of a trial; in trying a case before a judge or before a jury of 12 people, the defendant cannot predict what ultimately will happen. Plea bargains are also perceived as offering the accused a freedom of choice. And, from the state's point of view, the main benefit of the plea bargain is that it saves time and money. Almost everyone acknowledges that the system would collapse if every case that was filed were to be set for trial; there is not enough money to try every case. Experts point out some other benefits of pleas. Law professor Bruce Green tells FRONTLINE, "It… is in some ways fairer to witnesses and prospective jurors. Imagine if in all these cases, the victims and witnesses had to come to court to testify. And in all these cases, people had to leave their jobs in order to serve on juries. That would be very onerous for the public." Other experts note that pleas can get the accused out from under some harsh mandatory minimum sentences and rigid federal sentencing guidelines. And law professor Jonathan Oberman points out in his FRONTLINE interview, "… [a plea bargain] certainly is a good thing for someone who is guilty, someone who has factually done that which he or she is charged with doing, who is confronted with overwhelming evidence, and where the state is inclined to make some kind of offer because they would not want to put the victim, or families of the victim, or put the state, to the cost of proving the case at trial." · What is a plea bargain? · What is the standard argument in favor of plea bargains? · What is the downside of plea bargains? · After a defendant takes a guilty plea, can it later be withdrawn? · What is behind the rampant growth of plea bargains? 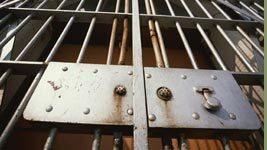 · What is probation and what happens to an individual who gets probation? · How are lawyers appointed for poor defendants? · What is a judge's role in a plea bargain? · Can the system be fixed? For more on the plea system's benefits and its important role in the justice process, read FRONTLINE's interviews with Judge Michael McSpadden, and defense attorneys Abbe Smith and Bruce Barket. What is the downside of plea bargains? The downside for the defense is that the accused is giving up the right to have 12 people hear all the evidence and test the prosecution's evidence against the defendant. The downside for the community is that it doesn't get to have a process which attempts to get at the truth of what really happened in the case. And, the plea bargaining system can be abused: It can extract guilty pleas from absolutely innocent people who plead guilty to charges they did not commit because they can't afford the risk of going to trial. Law professor Stephen Schulhofer offers this general critique of the system: "The major problem with plea bargaining is that it forces the party into a situation where they have to take a guess about what the evidence is, about how strong the case might be, and they have to make that guess against the background of enormously severe penalties if you guess wrong. So defendants, even if they have strong defenses, and even if they are innocent, in fact face enormous pressure to play the odds and to accept a plea. And the more likely they are to be innocent, and the more strong their defenses are, the bigger discount and the bigger benefits the prosecutor will offer them. Eventually at some point it becomes so tempting that it might be irresistible, especially when the consequences of guessing wrong are disastrous. "So the result is that the system as a whole doesn't do what we count on it to do, which is to sort out the guilty people from the innocent people. It doesn't do that because the guilty people and the innocent people are all faced with the same pressure to plead guilty." For more on the drawbacks of the plea bargaining system, read FRONTLINE's interviews with law professors Albert Alschuler and John Langbein, and articles in the "Readings" section of this site. After a defendant takes a guilty plea, can it later be withdrawn? The actions that an individual can take to withdraw a guilty plea depend on how much time has passed since the plea was made. There is likely to be a short period of time during which a defendant may move to withdraw his or her guilty plea. After that, he or she may be able to appeal, or to seek state and federal post-conviction relief, or to seek executive clemency. The defendant should consult a lawyer about these possibilities if he or she can afford to do so. If the accused cannot afford a lawyer, the first call should probably be to the local public defender agency. Even if this agency cannot help, it may be able to direct the defendant to other resources. A few states, like Indiana, provide lawyers in post-conviction proceedings who could file a habeas corpus attacking the plea. A few others, like New York and Massachusetts, have prisoner legal services organizations that might be helpful. There are also law school programs here and there, and national and state "innocence projects" also may be able to help in exceptional cases. Here is a list of innocence projects in the U.S. which has been compiled by the Northwestern University School of Law. Also worth checking out is the National Legal Aid & Defender Association and the National Association of Criminal Defense Lawyers. What is behind the rampant growth of plea bargains? Plea bargaining has surged because there are more crimes and there are more petty offenses which now are criminalized (offenses such as failing to pay a bus fare, being an unlicensed vendor, petty burglary, shoplifting, etc.). Since going to trial is more costly and time consuming, plea bargains are a practical solution for the criminal justice system. And, as noted above, a guilty plea reduces uncertainty as to the outcome of a trial and is viewed as offering the accused a freedom of choice. In addition, some legal experts maintain that the growth of plea bargaining is directly connected to the failures of the trial system. They say that today's jury trial has been captured by the lawyers and has become an "adversary jury trial" with an elaborate body of law -- law of evidence and certain other rules -- which is designed to control the legal combat. As law professor John Langbein tells FRONTLINE, "The ability of the lawyers in the O.J. case … to spin out the case forever and ever, their ability to dominate the jury selection in ways that was unheard of two centuries ago, all of that is the background to plea bargaining. As the jury trial becomes more and more time consuming, more and more complex under the weight of the lawyers' capture of the trial, we find that it becomes ever more costly to give people that which the constitution says they must have." What is probation and what happens to an individual who gets probation as part of a plea bargain? About 4 million Americans are on probation for their crimes. What probation means in the law is that if you plead guilty, you get sentenced -- typically to a prison or jail term -- but instead of going to prison or jail, you're placed on community supervision, which means you are placed on probation. You are monitored by a probation officer and typically have to see the officer monthly and abide by certain conditions. If you violate your supervision or don't follow one of the rules imposed, you lose probation and you go to jail or prison. Probation rules and conditions might include submitting urine samples; being prohibited from leaving the state; being required to notify a probation officer before changing addresses; attending counseling, etc. If the individual fails to meet any one of these requirements, he or she could be in violation of probation and sent to jail. There are also probation's financial costs. A person who is poor or of moderate means and is ordered to perform four, five, or 800 hours of community service while struggling to support themselves or their family, can be burdened with extra transportations costs, child-care costs, etc. in fulfilling the community service And if the individual misses community service after a month or so, probation can be revoked. The individual on probation also must pay probation fees which vary from state to state and are meant to cover the cost of probation officers, drug testing, counseling programs, etc. Failure to pay these fees is a basis for sending people to jail. In his interview with FRONTLINE, defense attorney Paul Nugent outlines the typical probation costs and fees in Houston, Texas: " … you have to pay a fine, you have to pay a monthly service charge, sometimes $40, $50, $60 a month. You have to pay court costs. If you're making six or seven dollars an hour, which is more than minimum wage, there's no way you can pay all your expenses. … There are all these programs you're ordered to participate in, there's counseling for this and this and this program, and they all cost. This one costs $40 a week and this one costs $70 a month and this one costs $22 per visit." How are lawyers appointed for poor defendants? The U.S. legal system provides free attorney services for those who can't afford a lawyer, but the accused does not have a say in who is selected or whether or not the lawyer is good, or whether the accused likes the lawyer or not. Court-appointed lawyers are usually not well paid and can often be the least paid individuals in the courthouse. As defense attorney and law professor Stephen Bright told FRONTLINE, "So you have to ask yourself: Are the best lawyers who can command the best fees accepting these cases? Of course not. Does the client have any say? Is there any incentive for the lawyers to work hard, earn a good reputation, so that they get more cases? Not really, because they're getting the cases from the court, not from the client. …"
A Summary of ABA Hearings on Indigent Defense In 2003, the American Bar Association held hearings on the quality of legal representation being given poor defendants. Here are highlights of the hearings' findings and the conclusion that the hearings demonstrated, "… indigent defense systems across the nation remain in immediate and urgent need of substantial reform." What is a judge's role in a plea bargain? In other forms of plea bargaining, typically called "sentence bargaining," the judge may have a larger role and can be the real driving force. The standards of judicial ethics vary from jurisdiction to jurisdiction and so judges are more involved in some places than in others. In many jurisdictions, the judge may bring everybody back into his office and sit them down and pressure them until the cases get worked out -- particularly judges who want to get cases off their trial calendar. The judge always has the power to reject the plea offer negotiated between the prosecutor and the accused, and many judges will, if they don't think the sentence is severe enough, or for other reasons. Law professors Stephen Schulhofer and Albert Alschuler believe there is a way to ensure the defendant doesn't forego getting a public hearing while at the same time cutting down on the onerous costs of giving every defendant a jury trial. "The simple solution," says Schulhofer, "is to discourage plea bargaining by giving defendants an incentive to give up the jury only, and take their case to a trial before a judge." Philadelphia's trial system largely has worked this way for decades says Schulhofer. "What happens is that well over 50 percent of the cases are tried before a single judge. About 5 percent of the cases go to a jury trial. And again, defendants know and lawyers know from experience that juries tend to react in certain ways to certain cases and that effects how judges will decide cases without a jury. A judge knows that a jury wouldn't convict in a certain type of case, he has to take that into account, or no defendant would accept a trial before that judge. At the same time the system can give slightly lower sentences, the gap obviously doesn't have to be as great because the defendant isn't giving up as much. This system has worked in practice very effectively for many, many years, so it's not an imaginary idea, and it essentially solves 99 or 100 percent of the problems we've been discussing." Alschuler believes there are three ways to fix the system. "Plan A is just spend the money. We're one of the richest nations on the planet, and we've decided we can't afford to give criminal defendants their day in court? There's got to be something wrong with that picture, but the problem is that our trials are so over-proceduralized that maybe we can't afford to do that. … Plan B would be to simplify our trial procedures, and thereby make trials more available to defendants who want them. We don't need these prolonged jury selection procedures. We don't need the complicated rules of evidence; there are lots of other ways we could simplify criminal trials." And Alschuler's Plan C is the city of Philadelphia's model -- a trial before the judge alone. "Why did that happen? Well, because in Philadelphia, as everywhere else, a defendant who asks for a jury and was convicted got a very tough sentence. But if a defendant asks for a trial before the bench, his sentence was not likely to be tougher than a guilty plea sentence. So guilty pleas were very low. The defendant was tried before a court in a relatively expeditious proceeding, typically taking only a half an hour for an ordinary street crime. That's a troublesome practice for some of the same reasons that plea bargaining is troublesome -- I mean, you've got a right in the Constitution to a jury trial. … But at the same time, this is a system where the defendant does have his say before an impartial third party, and he does not give up his chances of acquittal. …"